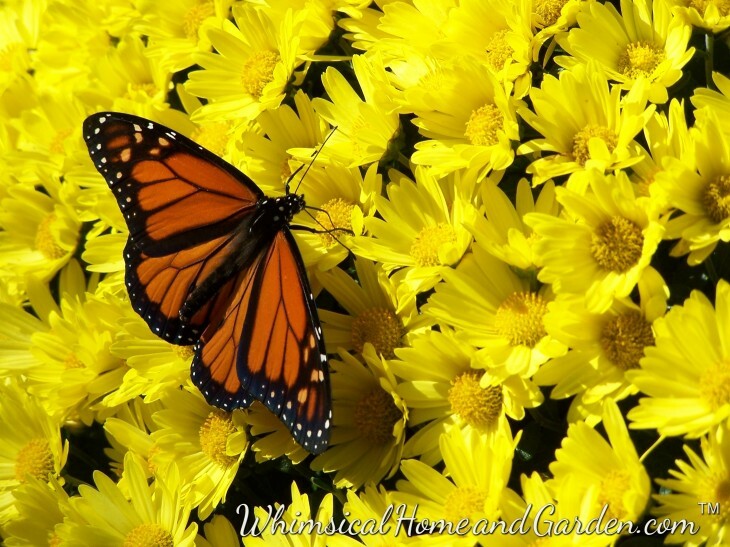 I have had a few readers ask me about attracting butterflies to the garden. 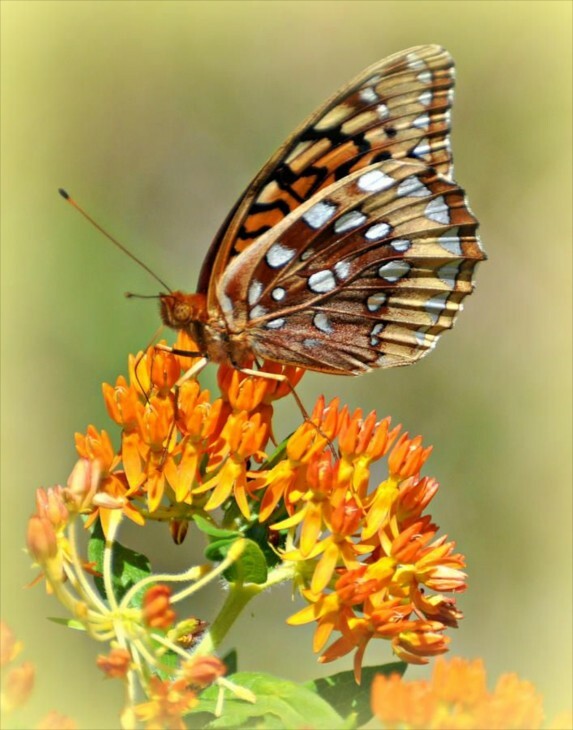 The main reason that butterflies and hummingbirds will consistently visit your garden is because of nectar. Nectar is a sweet sugary fluid secreted by plants and flowers that encourages pollination. Insects like bees collect it and make honey. Hummingbirds and butterflies are sustained by it, and in ensuring their own survival, like the bees, they assist survival of plants by helping to pollinate them. 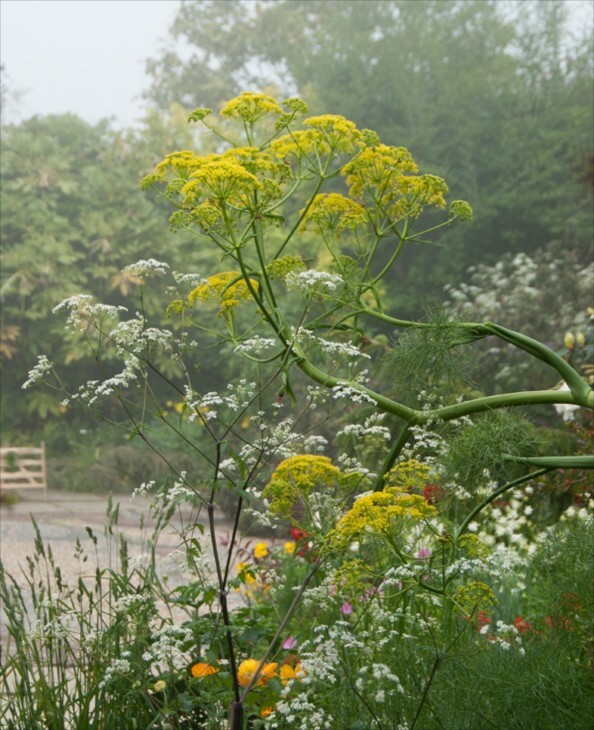 We can encourage their visits to our gardens with plants that are pretty easy to grow as well as attractive in the garden. There are few things that make me happier than watching the butterflies and hummingbirds among the garden flowers. The list below is by no means all inclusive, but includes the ones that can be grown across most zones, are pretty easy to grow, and do their job of bringing the beautiful and important flying additions to our garden. Beautiful Monarch butterfly on one of my Mums from last autumn. He landed on my shoulder for a brief few seconds and then went back to the Mums for more nectar. He flew from one Mum to another for such a length of time I was able to take a large number of photos before he moved on. 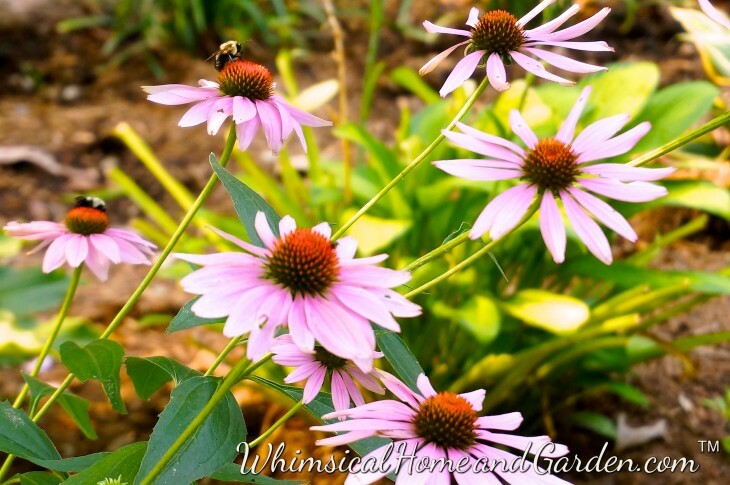 Purple Coneflower, often referred to as Echinacea, a member of the daisy family and is an easy care perennial, growing in zones 3-9. They will grow in most any soil once established. Can you see my honey bee visitor sitting upper left? Her strips aren’t visible in this photo however. This year I have seen many, many honeybees, for which I am so grateful, since one third of commercial honeybee colonies died off last winter. Lantana in pots I have on each side of my garage. This was last year. 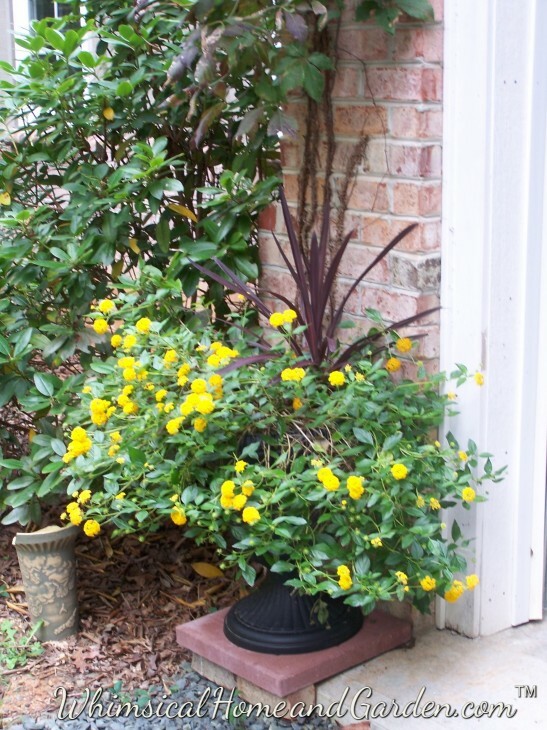 This is a fast and low growing but spreading plant. The Hummingbirds also love it. Plant as an annual. 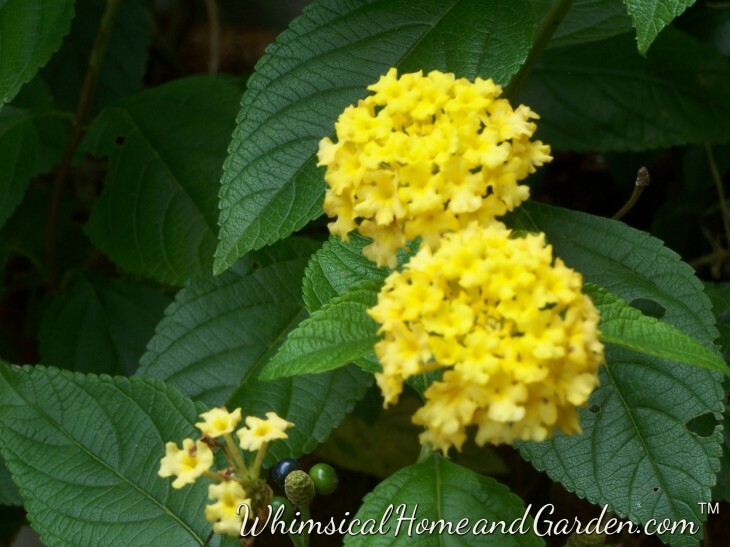 Closeup of Yellow Lantana from above. 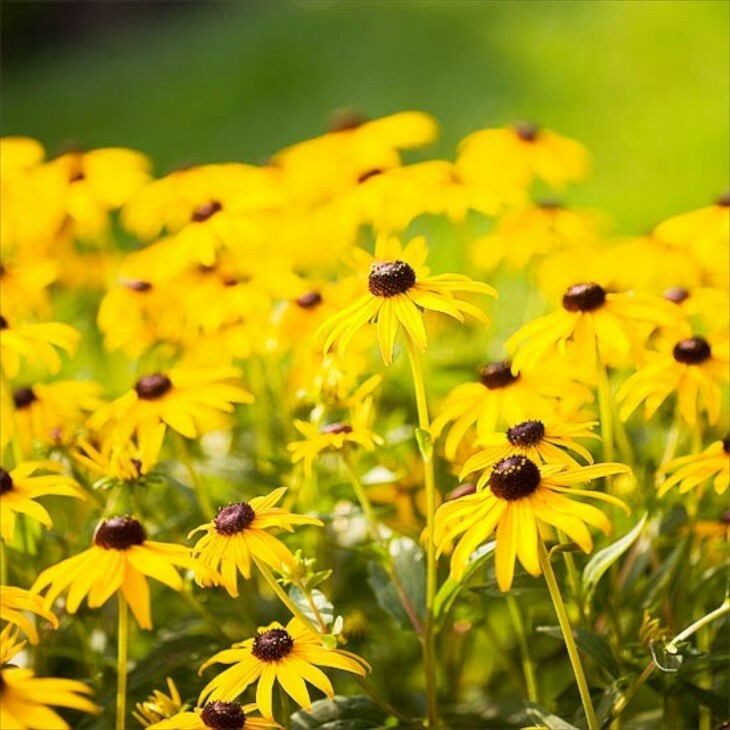 Rudbeckia or Black Eyed Susan, is another favorite of Butterflies and an easy to grow perennial in zones 4-9. It thrives in almost any soil when established. Easily divided. Pretty sturdy and even with storms rarely needs staking. Here in one of my pocket gardens I have grown it along side purple Salvia. The Hummingbirds seem to like the Salvia as well..
Liatris is a terrific plant if you need some height in the garden. 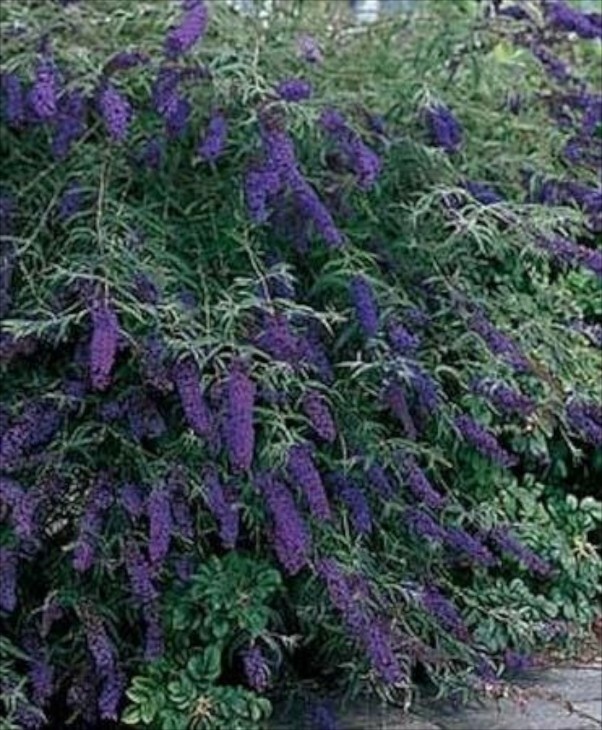 Quickly will reach 5 ft, although there are shorter varieties, and the flowers bloom in purple, white or rose colors. 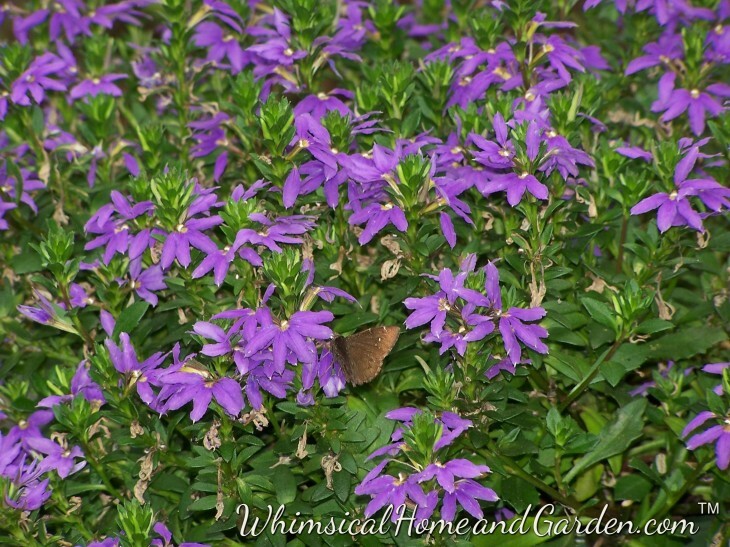 Attrctive to hummingbirds as well as butterflies, this perennial will earn its keep in your garden by also providing food for birds in fall and winter with its seeds. 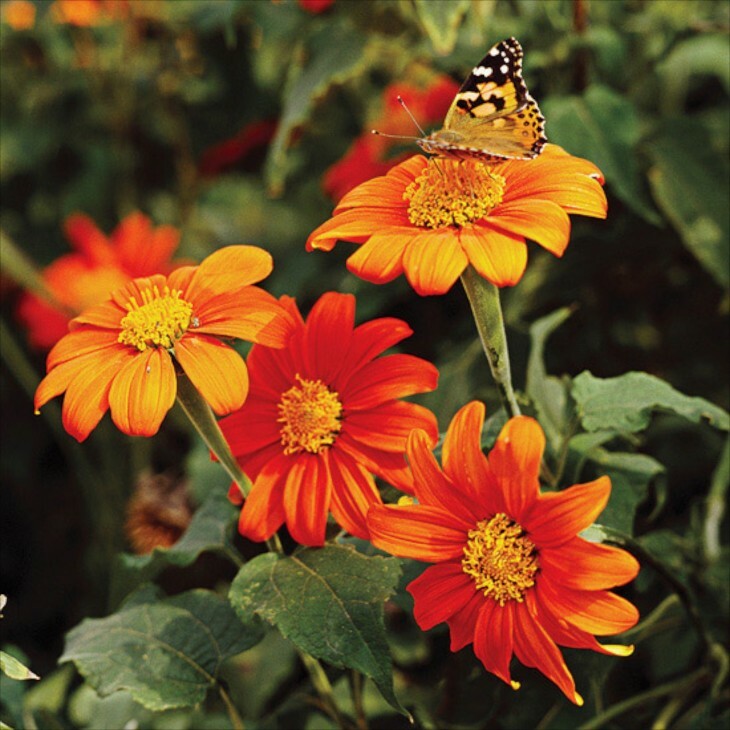 The Mexican Sunflower…..an annual, this flower grows amazingly quick from seed, and depending on variety, grows from 2 to 5 ft tall in just a matter of weeks. You can see a butterfly enjoying it already. 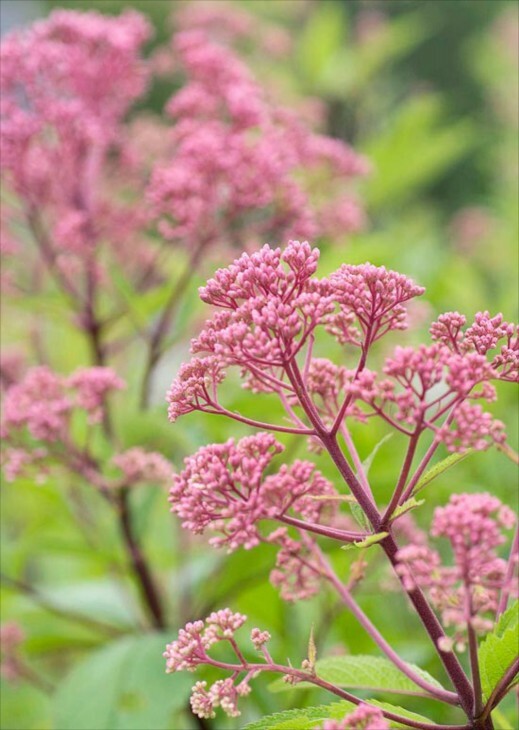 Joe Pye Weed is a native wildflower, a perennial, an herb and an ornamental flower for the garden. It grows tall, up to 6 or 7 ft, and it is very attractive to butterflies. It will bloom all summer until a hard frost as well. Here is Coreopsis, sometimes called tickseed in one of my new pocket garden spaces. 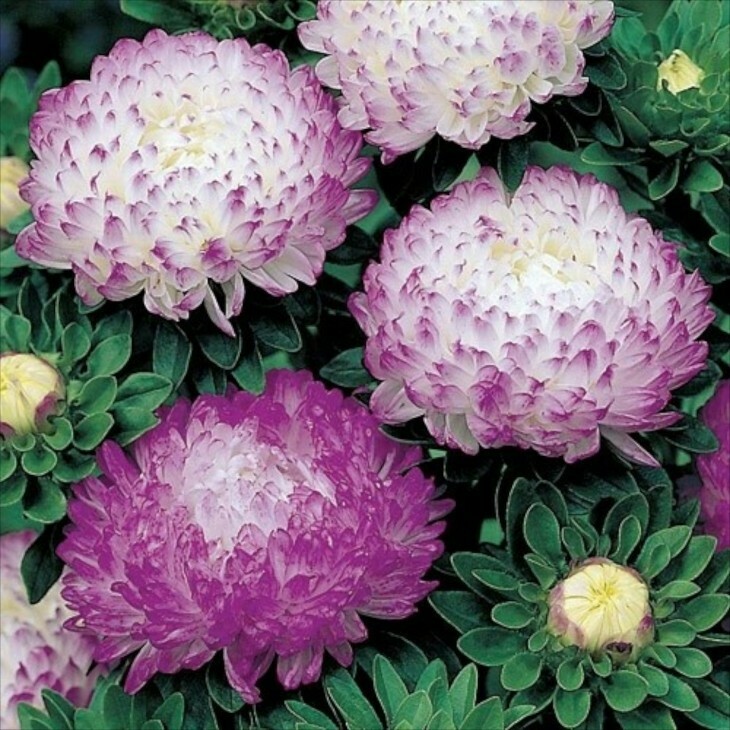 This variety is what is most common and popular, but over the years many new and fancy colored ones have been developed. 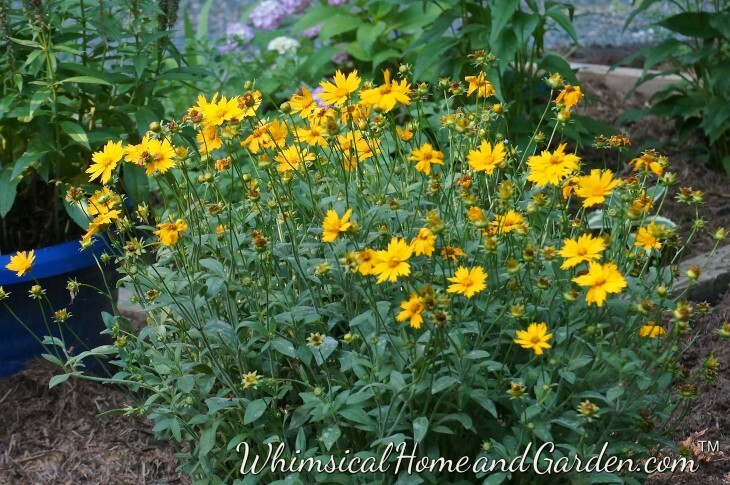 Coreopsis is easy to grow, dependable and with a long bloom period. 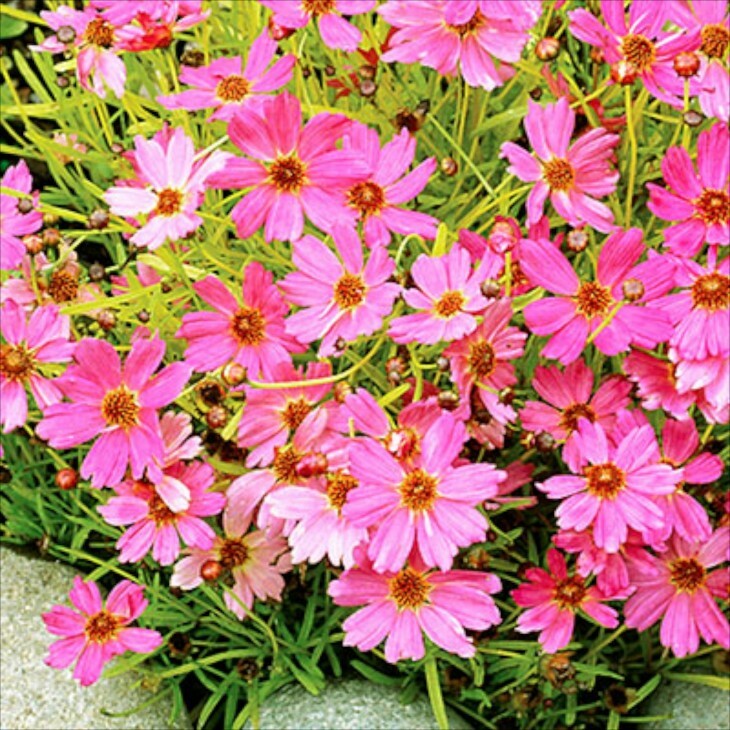 This variety of Coreopsis is called Pink Lemonade, from Terra Nova Nursery, but is also available in oranges and golds. 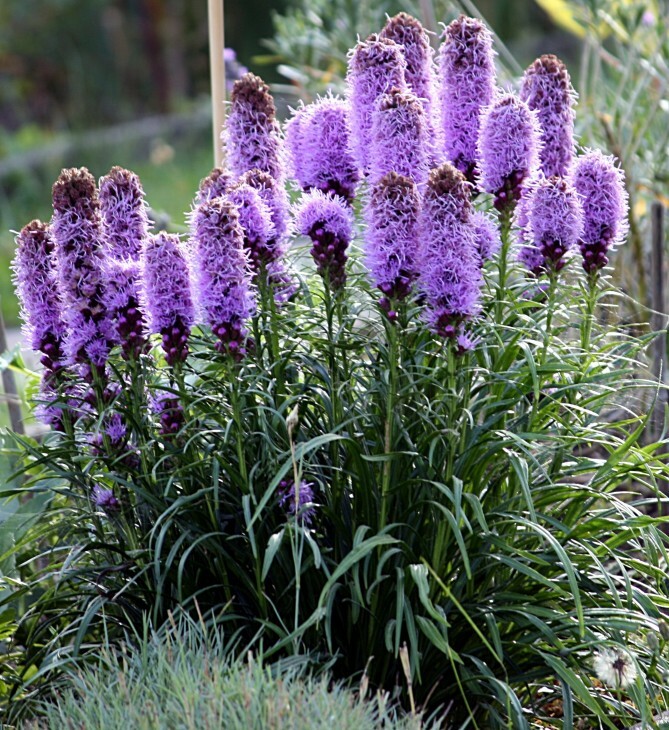 A generally trouble free perennial, it’s height depends on variety. The aptly named Butterfly weed. It is a species of milkweed, is perennial, and blooms from early summer into early fall. 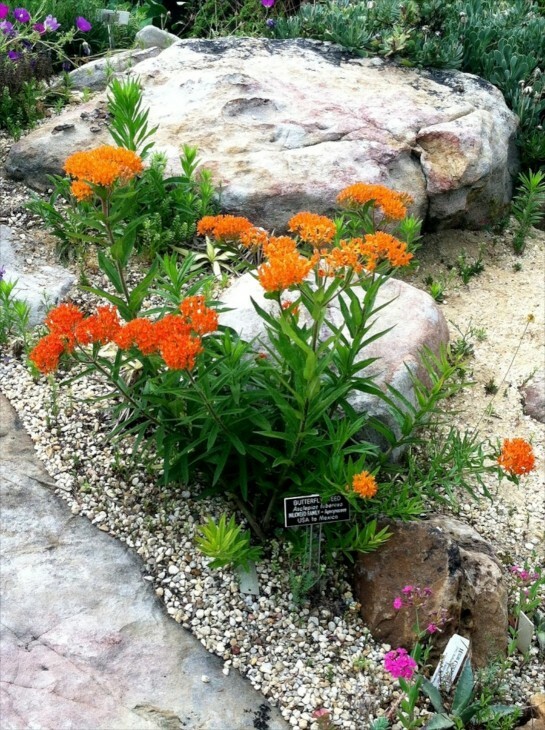 Butterfly Weed is easy to grow. It is often seen growing wild on road banks and in open fields. It produces copius amounts of nectar and is essential to the larval stage of the Queen and Monarch butterflies. The lovely Aster. 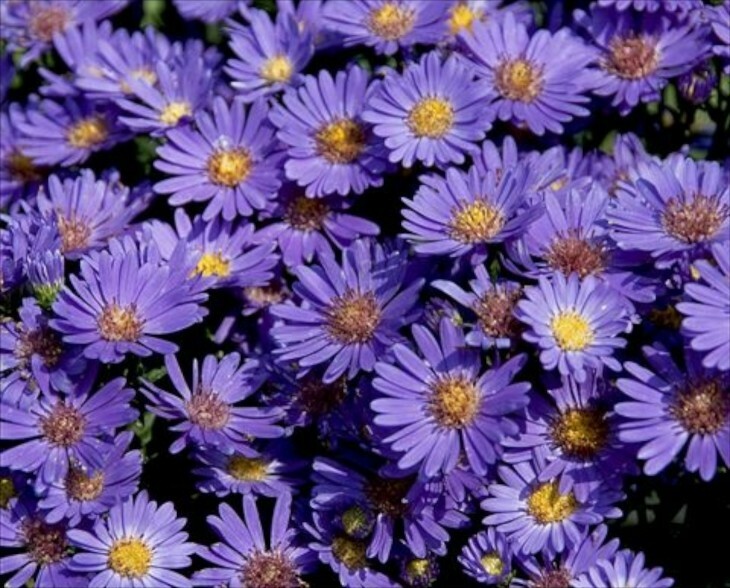 These daisy like flowers come in wonderful colors and are perennial, enlivening the late summer and fall garden. A pom pom type of Aster. 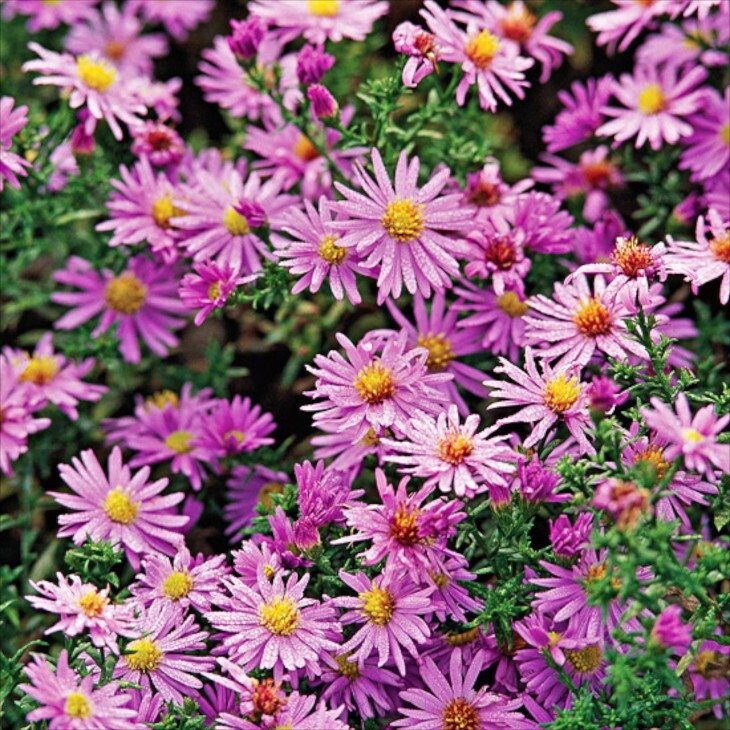 A pink variety of Aster. Verbena….about 250 varieties to choose from. 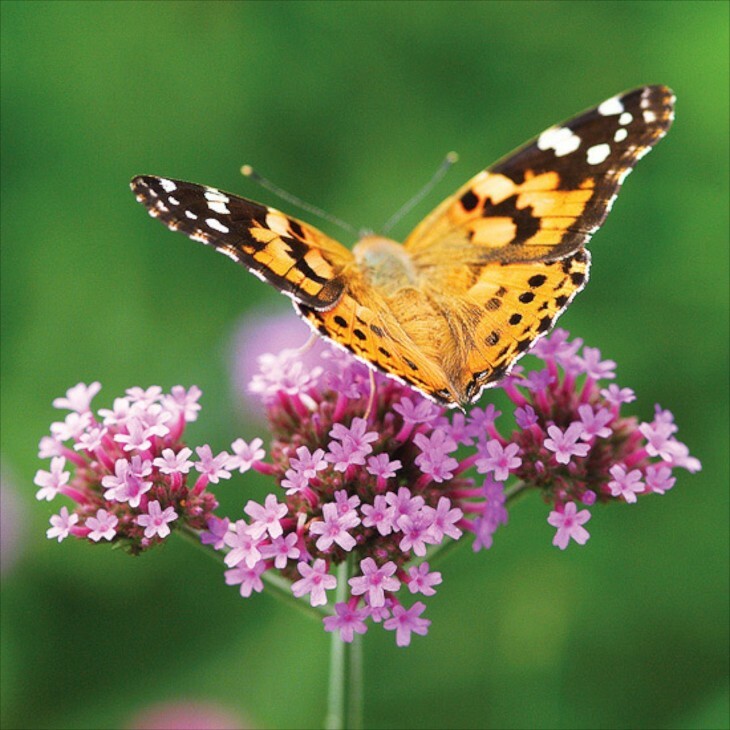 Verbena is both an annual or perennial. depending on variety. They are long bloomers, are hardy and quite heat tolerant once established. 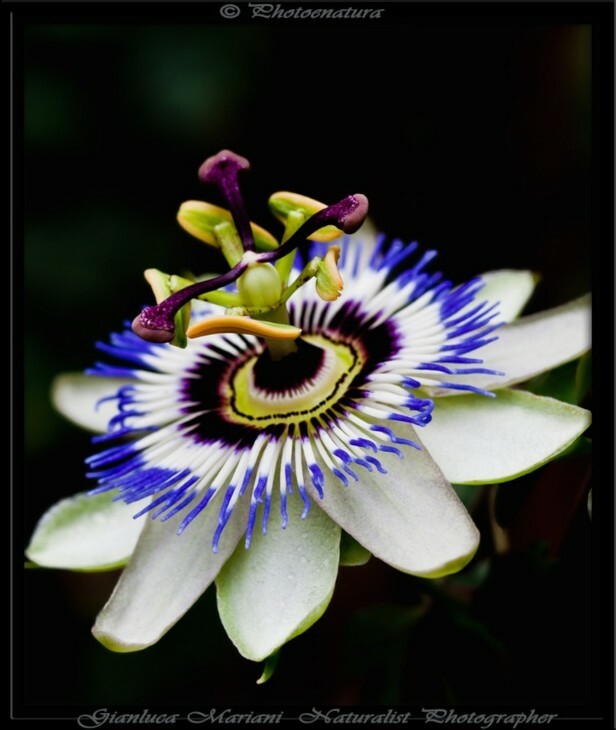 The Passion Flower is a vine, growing about 10 to 25 feet long and climbs. 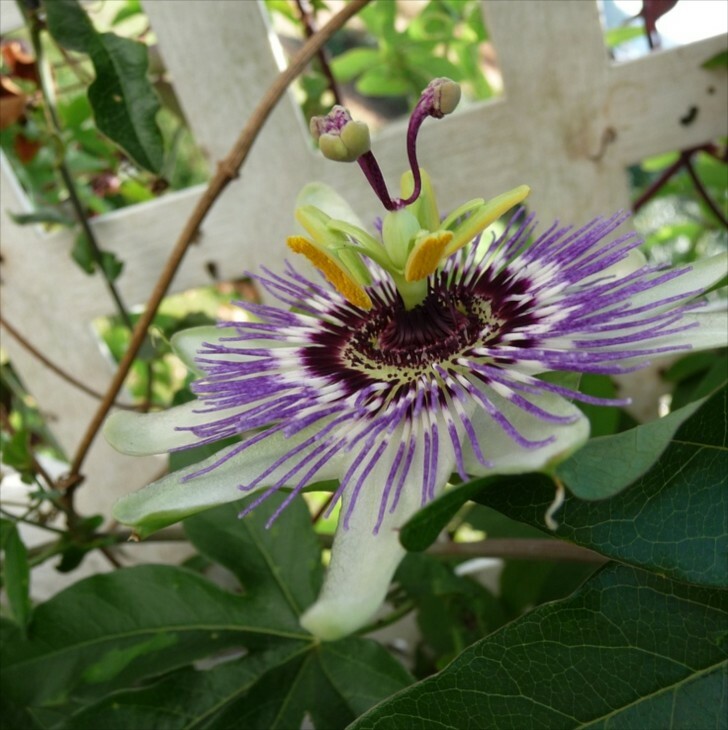 The Passion Flower Vine is perennial, hardy, native to the eastern US. 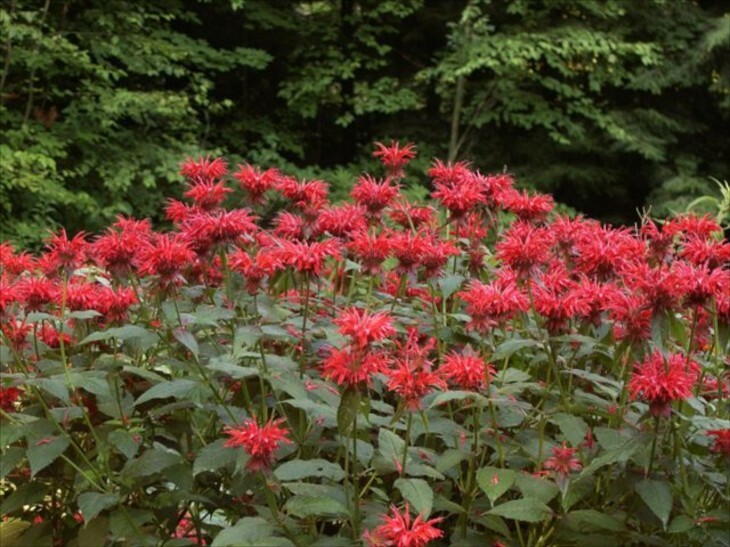 It will freeze back to the ground in winter, but grows back vigorously in zones 6-8. It’s fruit can be eaten as well. This is one of my favorite flower vines…..I find the flower beautiful and fascinating. Butterflies love it. 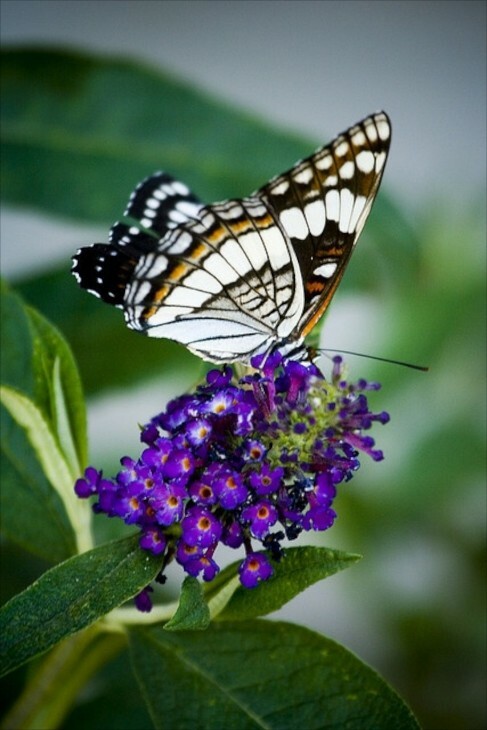 Pentas are tailor made for butterflies, as it is nectar rich. 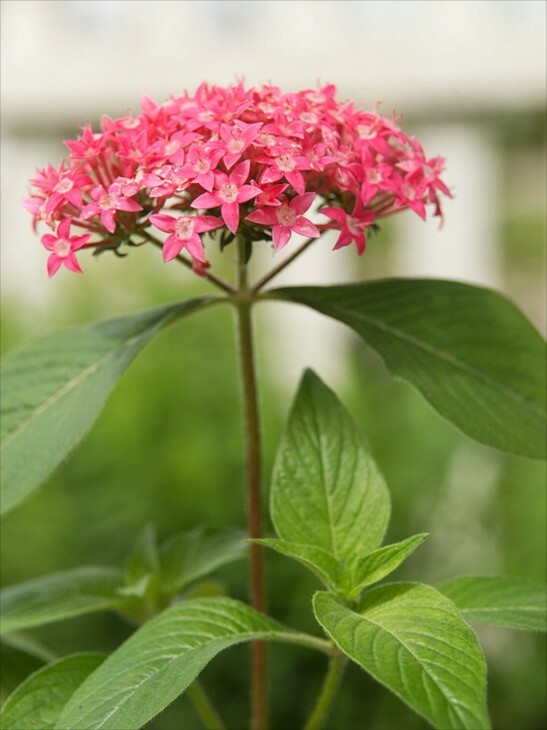 Pentas is most often considered an annual, and acts as a beacon to bees as well. It comes in pink, red and purple shades. 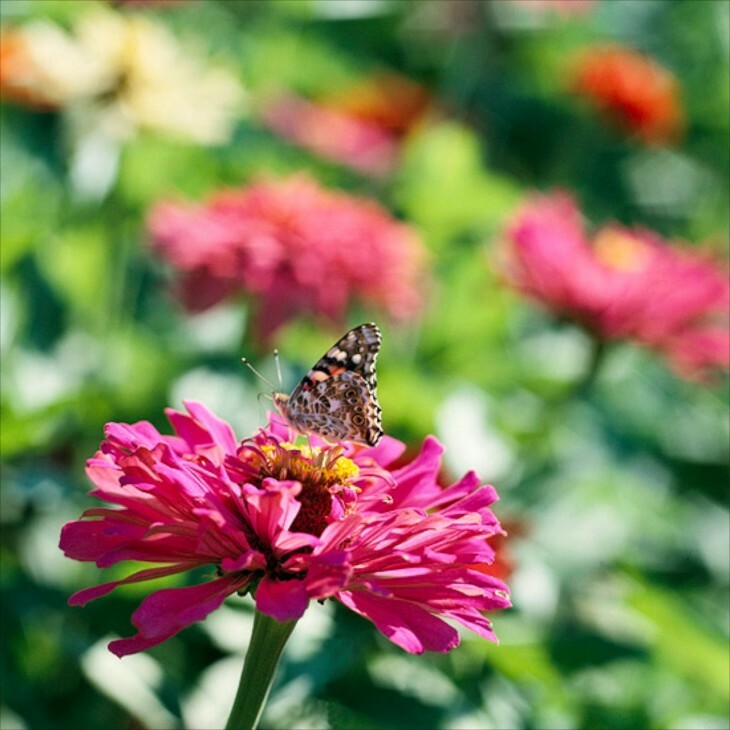 Monardia or Bee Balm is amazing for attracting Butterflies. The only problem I have with it is it can be subject to powdery mildew, especially here in the south. We are all familiar with Zinneas. 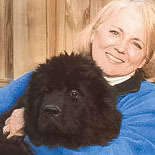 They are available in so many colors and there is a size for every garden. An annual, they grow easily every year from seed. 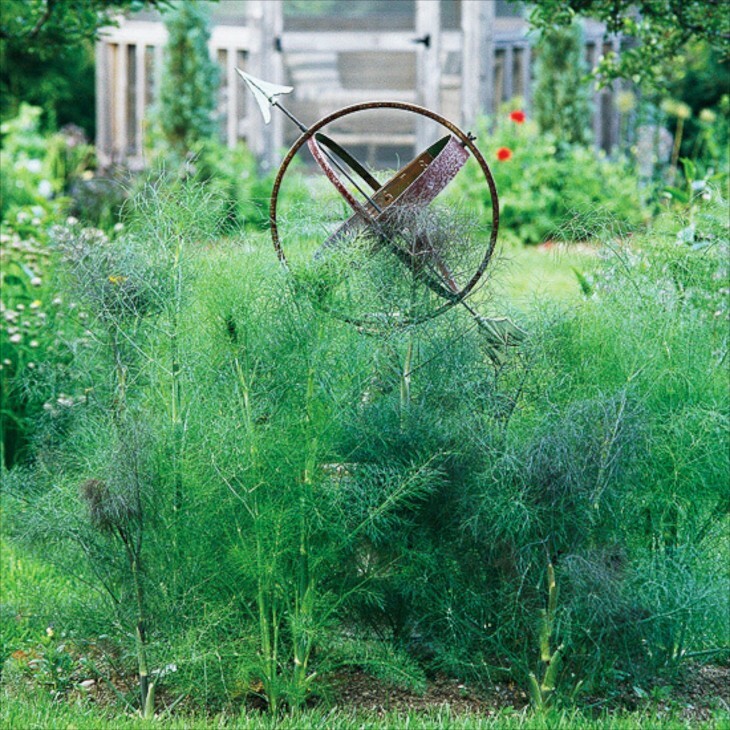 Fennel provides food for us and for butterflies. It is the prime source of food for the Swallowtail caterpillar . And how could I speak of attracting butterflies without mention of the Butterfly Bush! 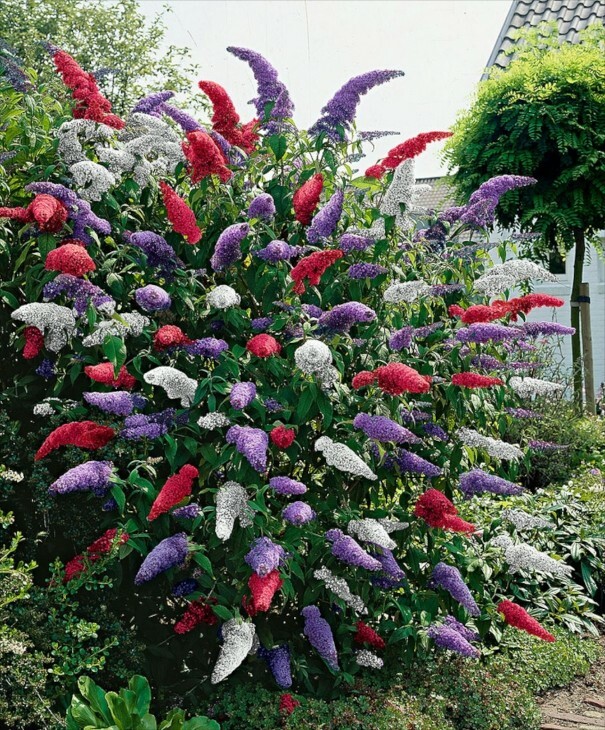 Surprise…..a variety of Butterfly Bush for those who can’t make up their mind about what color one to plant. Pretty cool I think! 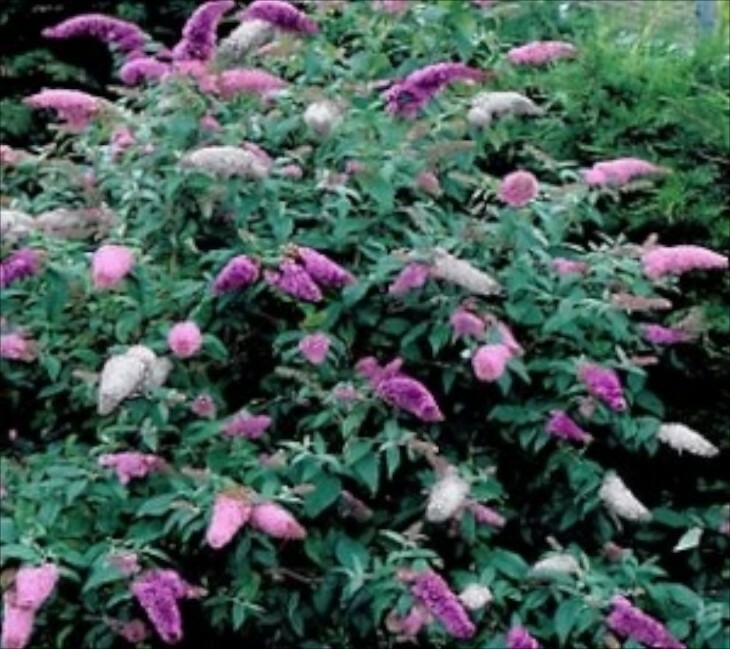 A large arching shrub, grows quickly. Can be cut back to the ground if necessary. Hardy in zones 5-10. Here’s one for those of us that like pink, but can’t decide on a shade of pink! This is a solid purple one. The other is a pink. 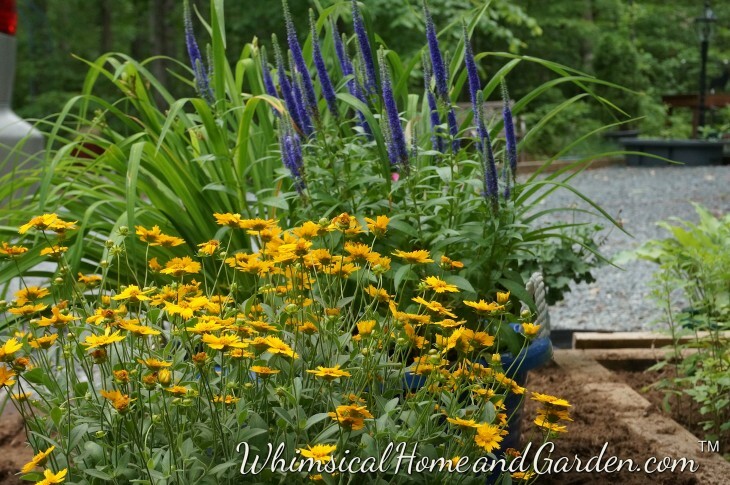 They are perennial, woody, and can grow 6 to 8 ft tall and easily as wide. They will provide you with a lot of Butterfly activity to say the least. 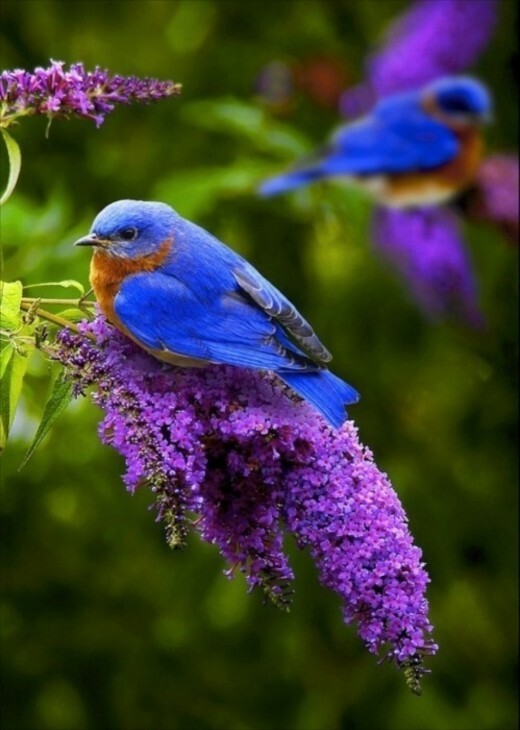 A Bluebird finds a butterfly bush to his liking as well. I love your garden, it is so beautiful. I love butterflies and dragonflies, they are so beautiful to look at. I am trying to build a little garden of different flowers to attract butterflies and also to provide host plants for them to lay their eggs. It would help out the Eco system as well. I hardly see flowers around for the butterflies. Also another plant that the black swallowtail butterflies are attracted to is the Ruda plant, it is also a herbal plant. Another name for the Ruda plant is Rue. Thanks for your information about which flowers attract butterflies. 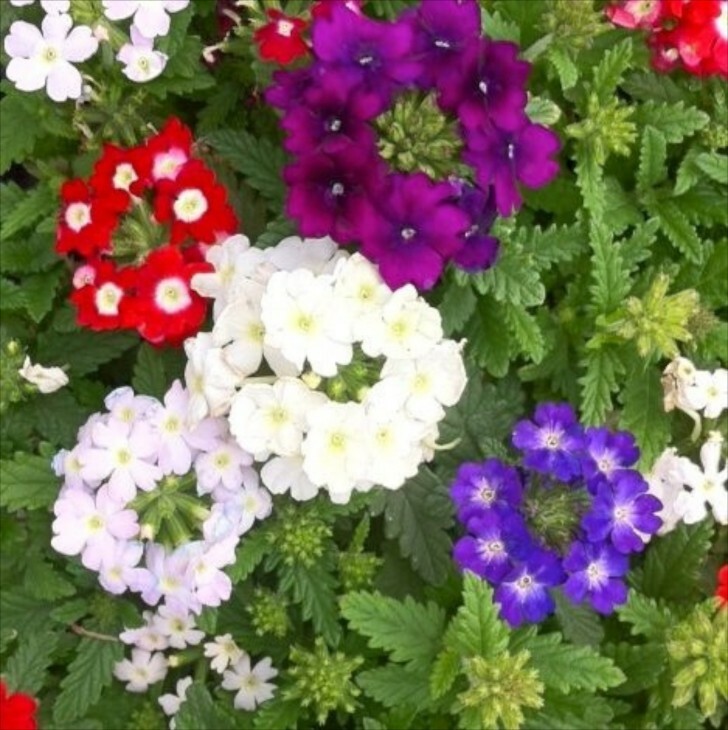 This is a great list of flowers! I am so inspired by your photos! Will all these plants grow in Southern California?